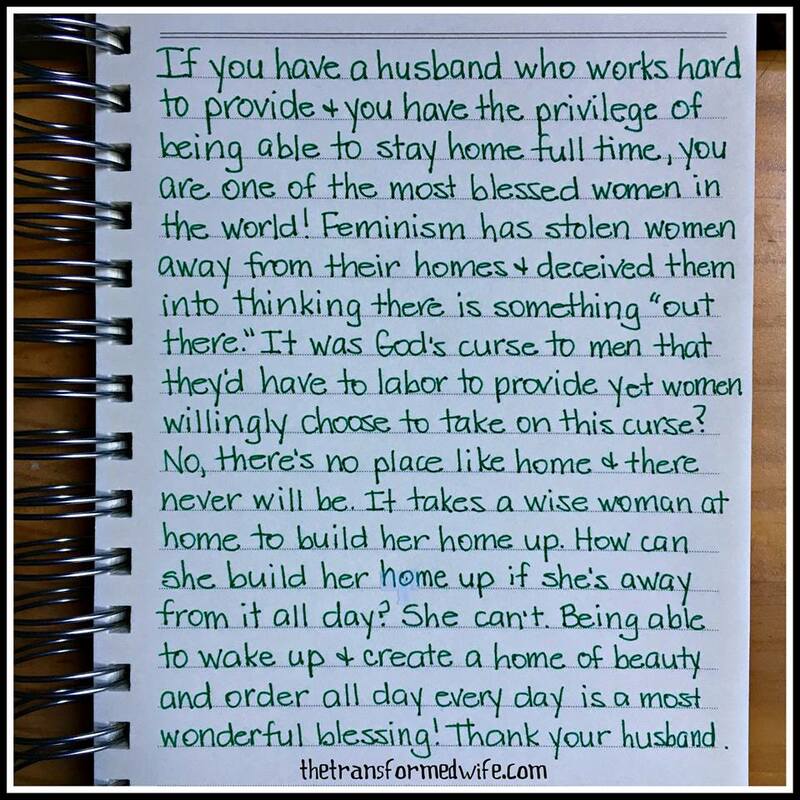 “She is to the home keeper, to take care of her husband, to provide for him and for the children, all that they need as they live in that home. Materially, she is to take the resources the husband brings home and translate them into a comfortable and blessed life for her children. She is to take the spiritual things that she knows and learns and to pass them on to her children. She is a keeper at home. God’s standard is for the wife and mother to work inside the home and not outside. For a mother to get a job outside the home in order to send her children even to a Christian school is to misunderstand her husband’s role as a provider, as well as her own duty to the family. “What children need at age one, five, six, fourteen, eighteen is simply amazing, and so is what those needs call forth from a woman’s creativity and heart and mind, personally for each one of these little ones that are coming along. Finally, in 2008, Voddie Baucham appeared on CNN when Sarah Palin was running as a Vice President and was asked about women not even being able to preach yet Sarah was running for the second top position in our land. Pastor Baucham brought up the passage in Isaiah about the evil of women ruling and this was when Deborah ruled, during an evil time in Israel’s history. He also boldly proclaimed that Mrs. Palin should be a keeper at home. He is very strong on obeying the clear teachings of God’s Word along with John MacArthur and John Piper which I appreciate very much! Yes, yes and YES! 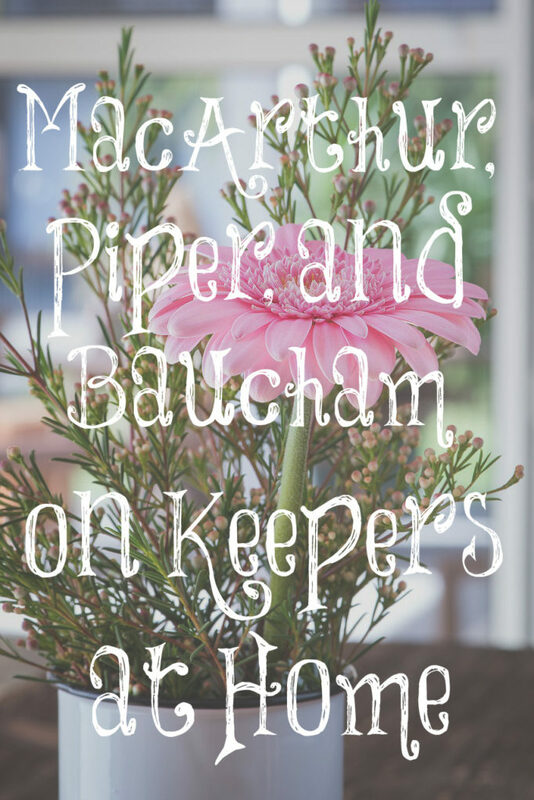 Some of my favorite preachers….biblically sound and I love how they reinforce the truth of women being keepers *at* home! 🙂 I know Voddie is a huge advocate of homeschooling as well. Wow, love this! I’m at home with my two children. I never knew just how much I would want to be the one to raise them until I had my own. I always worked outside the home before having them and I use to say ,”oh I could never be home all day” and then I had my daughter and I couldn’t imagine being away from her all day . I’m thankful I can be home with my children . I really enjoy reading your posts. I remember watching this CNN segment back in 2008 when it aired (I was looking forward to seeing pastor Baucham; he is so good at speaking the truth!). It still makes my skin crawl watching it again, as it did the first time, when these women gang up on him and call him “sexist!” As always, he gets the message across intelligently with the little time afforded him in these settings. Women in the workplace infuriate me! It destroys everything. Men are suddenly dependent upon their help, and how does that affect the marriage? It’s one of the worst things in my opinion.